Please fill in the fields below to send this page to a friend. Using a carafe or decanter ? What kind of glass ? For 2,000 years, the Bourgogne winegrowing region has demonstrated its capacity to adapt to climatic, historical, economic and social circumstances. It has thus become one of the most sustainable wine regions on the planet. 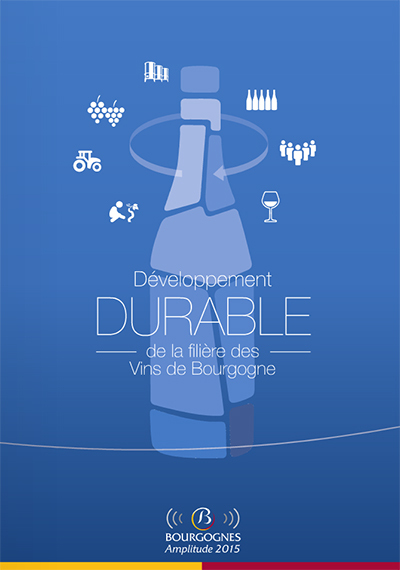 This quest for sustainability is a permanent concern, which is why the Bourgogne wine sector has embarked on the path of Sustainable Development through a concerted approach. Sustainable Development and preservation of the environment are inseparable. Although this connection may seem obvious, it is not enough on its own define Sustainable Development. Sustainable Development means economically effective development, that is socially equitable and ecologically sustainable. 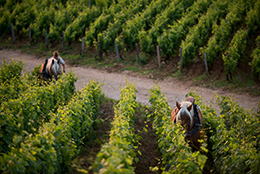 The Bourgogne winegrowing region benefits from a privileged geographical situation, whose unique potential has been magnified by the work of men and women since Antiquity. This historical combination has led to the winegrowing landscape we see today, characterized by the patchwork of plots, or Climats, which was included on the UNESCO World Heritage List in July 2015. The winemakers and négociants of the Bourgogne region want to preserve this priceless heritage to pass it on to future generations. So it’s only natural that the sector has embarked on the path of Sustainable Development. These axes led to the establishment of a common plan of action for the sector. 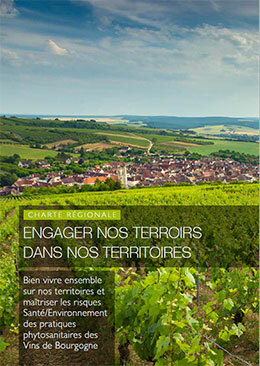 During its recent general assembly (04/07/2018), the Bourgogne Wine Board (BIVB) brought together its partners to sign a Regional Charter with the title “Terroir and Territory: A Commitment for the Future” in the presence of representatives of central government. This initiative from winegrowers themselves is the result of a cooperation between the BIVB and the Confederation of Bourgogne Appellations and Winegrowers (CAVB), and aims to respond to societal expectations with regard to the use of pest and disease control products in the vines. The Charter includes an action plan, the feasibility of which will be tested in the vines over a year before being widened out. - A structured campaign involving winegrowers, négociants, and lawmakers, with the support of the CAVB and the BIVB. Projects will also be driven by the ODGs, which form an essential local support network. - An initial budget of €100,000 euros has been approved by the BIVB for the 2017/2018 period, to finance activities. - An initial 12-month phase to test the actions proposed, which will be followed by a report and the setting of quantitative goals.